ZIMBABWE – HARARE – United Family International Church (UFIC)’s Judgment Night 3 event held at the National Sports Stadium on Friday had its own thrills and dreary moments, battering, curses and miracles. UFIC leader Emmanuel Makandiwa shocked an estimated 150 000 congregants gathered for the event when he pronounced a life-long curse on suspected three conspirators he claimed had been sent to expose him as a false prophet. “God showed me two boys and a girl. I saw them rehearsing. God said they will be there and will pretend to be sick and testify falsely to test the prophetic grace that I have given. The first person that I saw will use Peter Mapara and he is here to wait for me to declare miracles. 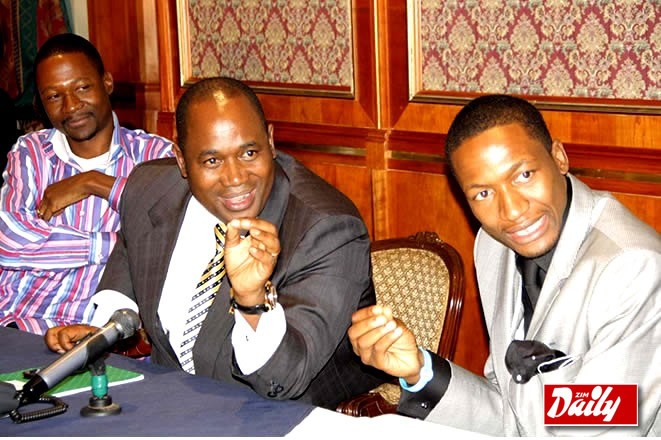 That same disease that you pretend to have, you will have it forever,” Makandiwa said. “If God allows me to, I will reveal the person who sent you to understand that this is not a rally, but a prophetic movement, we are not a movement to get into a political party, we are a spiritual movement. Outside the stadium, a daring thief was groaning in pain after being pummeled by congregants who accused him of stealing. His face was soaked in blood and was at pains to explain how the gods had forsaken him on that sacred night. “I did not steal anything, I was just running away and they caught me thinking I was a thief,” he said before police whisked him away. Far from the drama outside, Makandiwa’s followers were kept entertained by musicians including prolific song writer Leonard Zhakata, Charles and Olivia Charamba and the UFIC choir before he burst in shortly after 11pm, sending his followers into some kind of frenzy. An 11-year-old girl who could not stand on her own was healed instantly, according to the UFIC ushers. He defended his focus on preaching prosperity gospel saying it was his calling and every gospel was about prosperity in different areas. “Prosperity is flourishing; it means thriving, good news should be about flourishing. Personally as an individual that is what I preach, the gospel of prosperity,” he said. At 2am, Makandiwa delivered his forecast saying the country would soon discover huge oil reserves. “I am seeing oil coming out of our ground,” Makandiwa said. Makandiwa has made several predictions about the country including during last year’s Judgment Night 2 where he predicted an industrial boom, although this has not yet come to pass. In January 2013, Makandiwa prophesied a gold glut where citizens would pick up gold nuggets everywhere. That, too, has not yet been fulfilled.